Since declaring my intentions to conquer the world of the 5k race at the slowest pace possible, I appear to have picked up a cold. I have been dodging all sorts of coughs, sneezes and nasty diseases since the beginning of December, but on New Year’s Day my time came. I developed the runniest of noses. I’m not joking. It was so bad I had to stuff pieces of tissue stuffed up each nostril to try and stop the constant flow. My head ached, my eyes burned and my limbs felt frozen and pained. It is ridiculous. Mostly because I cannot afford to get ill. I have people who rely on me. Little monkeys who need me to be firing on all cylinders at all times. I felt incredulous that this was happening, especially at a time when I needed to run. It’s not just a cold, but an inconvenience! Before I became a parent if I became unwell I could do what it took to get well again. It actually wasn’t that difficult. Even if I had been to work, I could snuggle down on the sofa with a warm drink then have a hot bath and get an early night. Not now. When I am ill I dream of such luxuries. Especially when the reason I am ill is because everyone else is too. They are all coughing and dribbling all over the house. It isn’t even as though you can control it. They do their best to cough into their hands which then then promptly wipe on their shirt, or the table or your top. They sneeze in your face. Normally in the dark at 6am after they have crawled into bed with you so that they can feel better. The germs are everywhere. Despite antibacterial spray being used around the house, getting ill is inevitable and when it happens it is a pain. “I have not got time to be ill” I mutter under my breath while I try and get on top of laundry mountain or zip up coats for the third school run of the day. It’s true, however I cannot afford to get worse either. So therefore I need to look after myself and get better too. Prevention is always better than a cure of course. Drinking plenty of water, eating healthily and taking regular exercise. Now I know this is easier said than done but like I keep saying, you have to put You first in order to look after the rest of them. So in the early stages of my latest cold, I took a hot bath, managed a couple of extra minutes in bed and made sure that I ate well. I’ll be honest I did attempt to self medicate on a very nice gin and tonic with left over Toblerone from Christmas. Sadly it was wasted as I couldn’t taste either and the gin kept making my tissue nose plugs soggy. So what about the training? The general rule of thumb with training is, listen to your body. Most of the time you can run with a cold despite not wanting to. It is not a reason to stop. I would say take a break if you have enough on and your allotted run time will allow you a well earned rest. Give yourself a couple of days and pick it up when you feel up to it. I ran today despite still feeling bunged up and the weather being rubbish. The reason I went out was because I felt rubbish. I was having sinus pains and new I needed to clear my head. Not to mention the fact that I am due to start my challenge next week. I set myself a target of three laps of the park. Decided on an incredibly slow pace and set off. It took me a while to get out of the house, but luckily Mr LMR took the boys to the cinema so I had a clear window to get out with the pushchair. I took the time to get her well fed and asleep. Then off I went. It was very slow going, but once the first lap was out of the way, I felt OK. The last lap was a bit harder but I knew I was nearly there. The run took me around 51 minutes. Not a personal best but who cares. I came up with a new tag line for my blog while I was out. Let me know what you think. 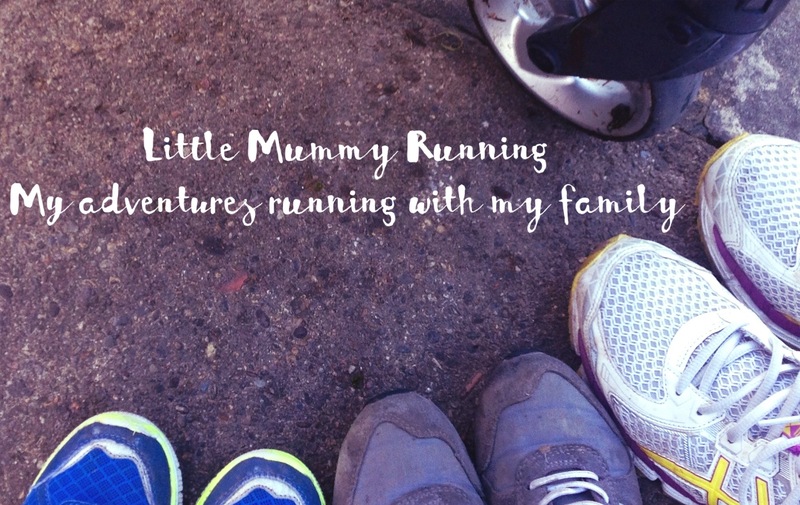 “Little Mummy Running: I run slowly because I can”. So my run didn’t cure my cold but I do feel better for having gone. It has eased my frustration and soothed my temper. It has also calmed my fears of looking a fool next week, when I embark on my first challenge. In conclusion, I know you cannot cure depression with a run, as much as you cannot cure a cold with gin and Toblerone. However, I do know that you can help yourself stay well with regular exercise and by making your wellbeing the priority once or twice a day. You are not being selfish, you are just being the best that you can be to those that love you. So send a little love your own way too. For those of you interested in coming along next weekend the details are in the link. Ropner 5k Winter Trail Race and don’t forget to visit the gofundme page for Raindrops to Rainbows and donate to a wonderful cause supporting mothers and their families suffering with Post Natal Depression.